We Provide an affordable removal service in Crowthorne and we are a local company, please look no further. From a small room move, through to a five bedroom House. 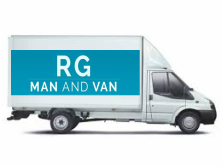 Local or Nationwide removals, we have two or three men crews, multiple commercial vehicles for short or long distant removals.Professional and affordable House Removals.